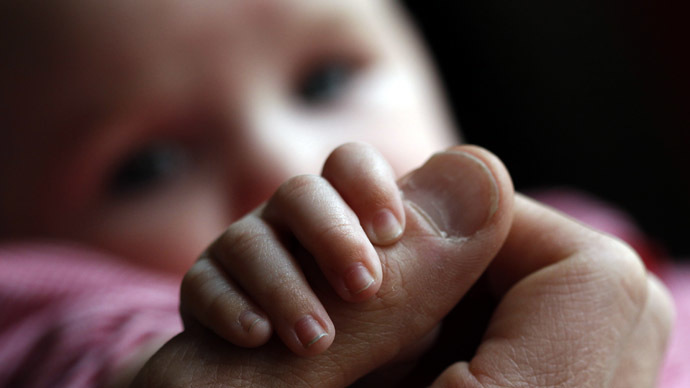 Britain has become the first country to legalize the creation of in vitro fertilization (IVF) babies using three parents, which doctors say could prevent inherited genetic diseases. The House of Lords voted on Tuesday for a change in the law to allow the treatment. The peers rejected an attempt to block the plan by 280 votes to 48. The techniques are still in their research stages in laboratories in Britain and the United States. However, the first baby conceived using DNA from three different people may be born as early as 2016. A spokesperson for the Department of Health said: “Parliament's decision will bring hope to hundreds of families affected by mitochondrial disease. “We are proud to be the first country to allow these revolutionary techniques. A three-parent child would have “nuclear” DNA determining individual traits such as facial features and personality from its two parents, plus a tiny amount of healthy mitochondrial DNA (mDNA) from a female donor. The mitochondria, extracted from a donor, would be implanted in an egg to replace any damaged or unhealthy mitochondria, which can cause inherited conditions such as heart problems, liver failure, brain disorders, blindness and muscular dystrophy. Church leaders and pro-life groups warn the risks of the procedure are not yet fully known, and say the change was being pushed through too hastily. They also warn the legislation could trigger a “slippery slope” towards designer babies and eugenics. “The techniques in question are relatively crude and will not in and of themselves create so-called ‘designer babies’, as that term is typically understood,” the group said. The chief medical officer for England, Dame Sally Davies, denied the legislation would give way to the creation of designer babies. “This is about changing the battery packs, it's not about touching the chromosomes that make us what we are,” she said. Prime Minister David Cameron, Labour leader Ed Miliband and Deputy Prime Minister Nick Clegg all used their free votes to support the decision.